As discussed in a report last month at Smart Politics, Alaska Republican U.S. Senator Lisa Murkowski won reelection in 2016 by a comfortable margin, but failed to garner the support of a majority of voters. Due in part to Libertarian Joe Miller’s history-making performance, Senator Murkowski won with only 44.3 percent of the vote in a six-candidate field – the least support among the 34 men and women elected to the chamber this cycle. Murkowski won by 14.7 points with Miller garnering the largest support ever for a Libertarian U.S. Senate nominee at 29.4 percent. This marks the third consecutive cycle in which Murkowski won election to the Senate with a majority of voters backing another candidate – a feat never before achieved in U.S. history. Smart Politics reviewed the nearly 1,900 U.S. Senate contests conducted during the direct election era and found that Lisa Murkowski is the first senator to win a seat to the chamber with a mere plurality of the vote three times. Through the 2016 cycle, there have been 174 plurality winners since direct elections began more than a century ago (including U.S. Senate preference votes in those states that held such contests before the passage of the 17th Amendment in 1913). 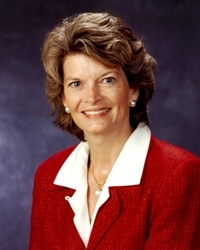 Of these 174 members, Senator Murkowski is the only one to have earned a seat at the ballot box without the backing of a majority of voters three times. Murkowski’s victory this cycle with 44.3 percent is the fifth consecutive plurality decision in elections for the U.S. Senate in the Last Frontier State – tied for the most in U.S. history. In addition to Murkowski’s three plurality wins in 2004, 2010, and 2016, Democrat Mark Begich won with 47.8 percent in 2008 with Republican Dan Sullivan unseating him in 2014 with 48.0 percent. Alaska thus ties a 98-year old record set in Nevada where a plurality of voters backed Republican George Nixon in 1910 (48.0 percent), Democrat Key Pittman in 1912’s special (39.8 percent), Democrat Francis Newlands in 1914 (37.5 percent), Pittman in 1916 (38.8 percent), and Democrat Charles Henderson in 1918’s special (47.7 percent). Murkowski was not alone on Election Day in failing to win majority support from voters in U.S. Senate contests. According to unofficial results, six winners of U.S. Senate elections in 2016 did so with a plurality – the largest number since Watergate and tied for the fourth most in the chamber’s history. In addition to Murkowski, one other incumbent on the ballot was also a plurality winner in 2010 and 2016: Colorado Democrat Michael Bennet (49.9 percent) is currently a few dozen votes shy of winning a majority in his race against Darryl Glenn. Bennet won his first term in the chamber with 48.1 percent against Ken Buck in 2010. Bennet became the 16th member of the U.S. Senate to win two elections without the support of a majority of voters. The remaining four plurality winners in 2016 were Missouri Republican U.S. Senator Roy Blunt (49.3 percent), Nevada Democrat Catherine Cortez Masto (47.1 percent), New Hampshire Democrat Maggie Hassan (48.0 percent), and Pennsylvania Republican U.S. Senator Pat Toomey (48.9 percent). The last time six or more candidates won a U.S. Senate election with a plurality of the vote was in 1974 with eight: Florida Democrat Richard Stone (43.4 percent), Nevada Republican Paul Laxalt (47.0 percent), New Hampshire Republican Louis Wyman (49.7 percent, although the seat was declared vacant), New York Republican Jacob Javits (45.3 percent), North Dakota Republican Milton Young (48.5 percent), Oklahoma Republican Henry Bellmon (49.4 percent), Utah Republican Jake Garn (49.9 percent), and Vermont Democrat Patrick Leahy (49.5 percent). The 2016 cycle ranks as having the fourth largest number of plurality winners across the 52 election cycles since the direct election era began in 1913. Including special elections, there were 17 such winners in 1914 (when Progressive nominees were still garnering a substantial amount of the vote) and eight in 1916. Six candidates also escaped with plurality wins in 1932, 1936, and 1996 (including Ron Wyden’s January 1996 special election win). 2 Comments on "Lisa Murkowski Becomes 1st Three-Time US Senate Plurality Winner"
Thanks for providing this updated total. The post now reflects this info. above.